Two photos from the garden this afternoon. Lovely to see the hummingbird sage (Salvia spathacea) coming into bloom. 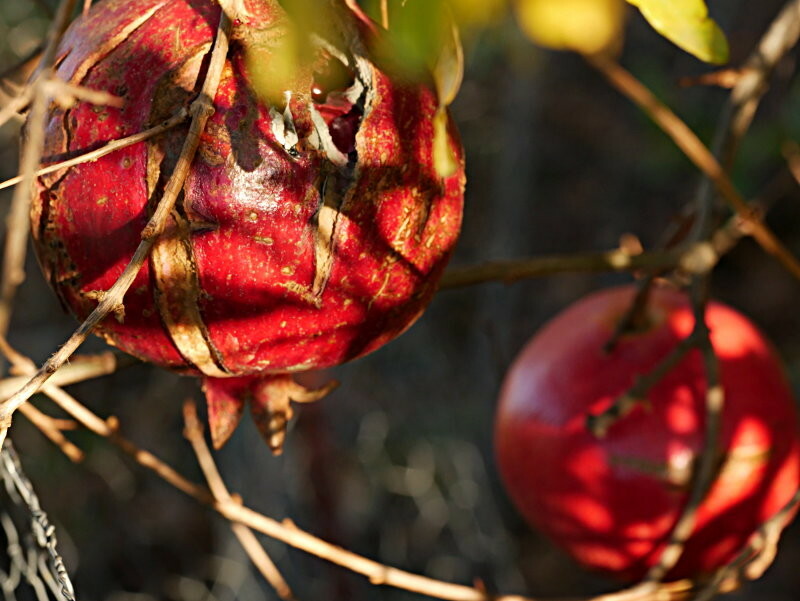 Not so many pomegranates left any more; it&apos;s a treat to have them around. @mappingcat That's a gorgeous Salvia. I don't think we have it here but I'll check. I marvel at salvia: so many of them, so varied, from tiny ones to toppling giants to "wait, is that a salvia?" @katebowles This one lives up to its common name and is good at attracting hummingbirds! 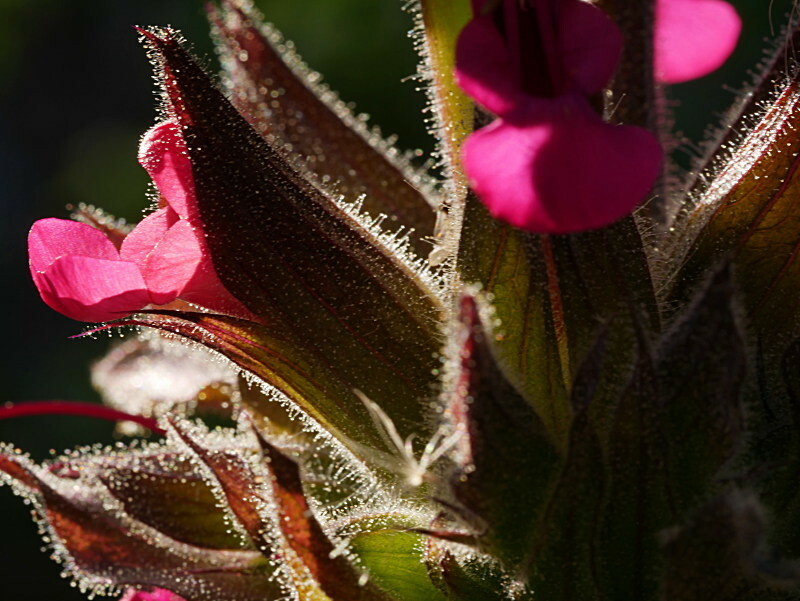 There are lots of salvias native to California: at least 17 species. @mappingcat Several of them have made their way here. I have I think 11 in my garden, a bit accidentally. I've lost a couple over the years -- the big ones.